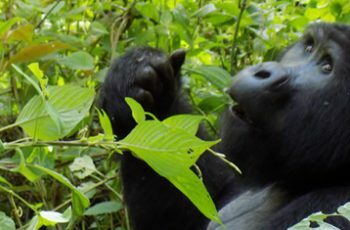 This 2 Days Murchison falls wildlife safari in Uganda is designed specifically for short timer visitors that would love to experience Murchison falls park on our 2 days Murchison falls wildlife safari in Uganda, this 2 days Murchison falls park wildlife safari in Uganda starts with a drive from Kampala city heading to Murchison falls national park for afternoon boat cruise and next day morning game drive then Rhino trekking at Ziwa Rhino Sanctuary as we drive back to Kampala hence calling an end to our 2 days Murchison falls wildlife safari in Uganda. It’s an early departure from your residence or Hotel at 6:00am and drive to Murchison falls national park, reach the park at 12:30am ready for lunch before going for an afternoon Boat cruise to Murchison falls “the world’s strongest water falls”, you will then Hike to the Top of the falls where the vehicle will be waiting for you to transfer you to your lodge/hotel for Dinner and overnight. Meal Plan Lunch and dinner. Day 2: Murchison falls Wildlife Safari Morning Game Drive and Rhino Trekking. Leave early morning for game drive in the mighty Murchison Falls National Park and one of the biggest park we have in the Uganda, giving you an opportunity to sight different kinds of wildlife’s, birds and not forgetting the beautiful landscape and after you will drive out the park and head to Ziwa Rhino Sanctuary for Rhino Trekking before ending the 2 days Murchison falls wildlife safari with drop off in Kampala at your lodge/Residence. Meal Plan Breakfast and packed lunch. 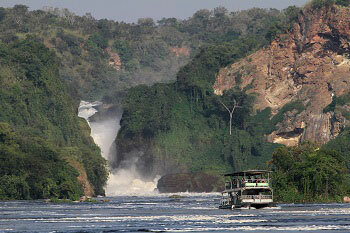 2 Days Murchison Falls Wildlife Safari in Uganda accommodation options. 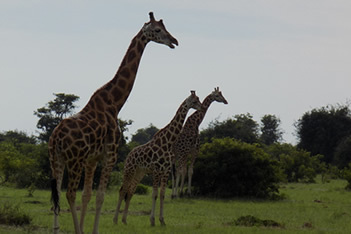 2 DAYS MURCHISON FALLS WILDLIFE SAFARI IN UGANDA PRICE PER PERSON.